It's raining and you're going to get soaked because your car is in the driveway. Why is your car in the driveway? Because of all the stuff in the garage makes it impossible to park your car in there. Now is the time to get that storage shed you've been thinking about. Get the thought of old clunky, rusty metal or rotten wood sheds of years gone by out of your head. Some of them even remind you of your old garbage cans. Stand at your window and look out at your backyard. Envision a place out there where you can put all that stuff that's in the garage. But, wait, why stop there. How about a man cave? You could make the shed big enough to have an area for you. Ah, peace and quiet away from the kids and house. How about a playhouse for the kids? Then the house could be yours again. 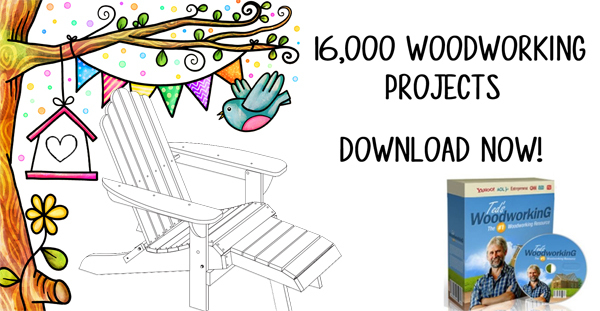 You can also make it a storage and potting shed, storage and pet or animal refuge, a storage and pool house, or even a workout room or meditation room. The possibilities are endless. The size and purpose of what you want will play a major role in your decision. There are different designs from barn look-a-likes to country cottages. The new shed can have many details added such as shutters, flower boxes, shelves, functional windows, lofts, or a covered porch area. Once you have decided on style and size, explore the different types of materials available. The great advances in different materials created for outdoor use has enabled us to create long lasting sheds. However, cedar is the most popular because of its warm wood look, beauty, durability, and outstanding weather resistance. You will want pressure-treated lumber for floors. Windows will allow air circulation and allow light in to see and keep the inside dry. You also want to consider exterior grade plywood. For a small to medium shed, a single pair swinging door is fine. For a larger than 10x12 feet shed, use two pairs of doors – one on the front and one on the end or two on each end wall. This will facilitate getting to the stuff that winds up buried in the middle of the shed. Another good choice is vinyl. It is weather and rust proof. It is also fire resistant, and does not fade. Duratemp is also available. Also, InnerSeal can be used. 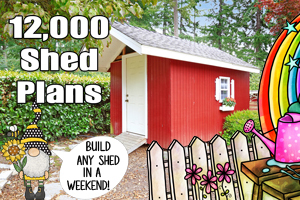 Consider how to assemble your shed. Many are already built with panels and simple hardware. You will not need to cut the wood. Windows are attached to the wall and the shingles are attached to the roof panels. Just pick the plan that best suits you. This is just a simple guide to help you start searching for the shed you want. 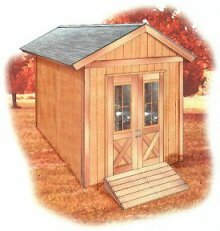 By deciding the basic style, function, and materials for assembly, you should be able to create the shed you need and will enjoy for years to come.